When I used to live in my colony, I and my friends used to have dinner together on special occasions. We used to serve together, dine together and have fun together. While doing so, we always had in mind that anyone doesn’t have any food or drinks more than one of us usually consumes or as the quantity decided before the party. I think everyone might be doing the same thing as we do while having a party or function with your closed ones. If this is the way we think about parties then why not do so while drinking water in our daily lives. Why not take the amount of water in the container as much you have to drink. So that everyone gets the equal amount of water and the water doesn’t get wasted. 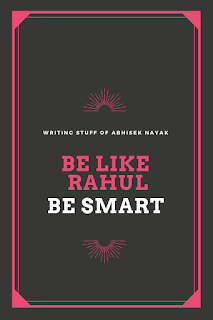 I know someone named Rahul who always wants to make his life and almost everything around him easier and smarter. What are the things needed for completing a work successfully? If this is the question then the answers from the people all over the world would be like the following. Some would say hard-work, some would say luck, presence of mind, curiosity, speed, talent, patience, etc. But all these things would be of no use if there is no will to do the required work. Doing a work without a will is like eating something you don’t want to eat or eating when you are not hungry. And if you do eat when you are not hungry then it doesn't feel like eating the way it should be. Let us take an example of a car which has an auto-driving mode, good mileage, good shock absorbing facility, enough space for storing stuff and seating space for enough people. However, the value of all these features would be zero if there is no fuel. 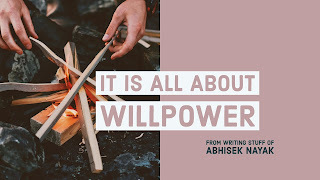 So, in our case,willacts as fuel for doing a work successfully. Who does not love to have food outside the home? It is no secret how much we crave for the stuff in the food trucks on the roads, kebabs, tikkas, rolls which always call us through their mesmerizing smells. 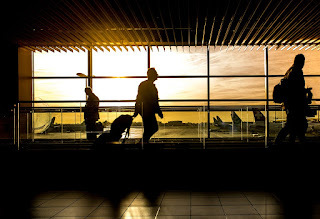 Whether it’s somebody’s birthday or someone’s promotion, most of us go outside to satisfy our cravings and doing the same also feels very great, but it’s not always a good idea. 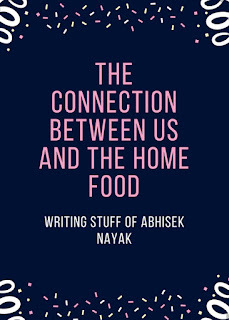 We can’t eat outside all the time as it’s not that healthy as we have in our home and it’s not also good for your pocket especially if you are a person like me who is not into much costly stuff. Letter of Invitation to an Event One day, when I checked my mailbox, there was a letter of invitation to an event. It was mentioned in the letter that many popular and powerful personalities of the globe are going to attend it. At that time, an invitation to a glamorous and mesmerizing global event in my hand, I think I was the most excited and happiest person in the world at that moment. 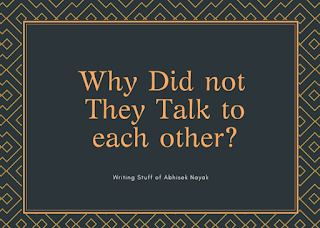 Why Did not They Talk to each other? There was an official party going on somewhere. In this party, a boy notices a girl and moves towards her. Let’s see what this boy has in his mind. Boy: Hi! Do you recognize me? I am from your college. Girl: Hi! Yes, I know that you are from our college. Boy: So, how are you? How are your friends? Girl: I am good. Most of them (friends) are in this city. Boy: How are they? Aren’t they at this party? Girl: No, they had other plans. They didn’t want to get into this boring thing. Boy: Boring? You mean this party? Didn’t you want to go with your friends? Girl: Actually, I and my friends work in the same company and are in the same project team. Since I have the cleanest image among them in the office, so, I am here at the party covering up for their marriage party. Boy: Is this party really that important? Girl: Yeah, it’s very important for our project. You have asked enough questions to me. Now it’s your turn. How’re you doing? Boy: Not bad. I have been hired by your company for a project. 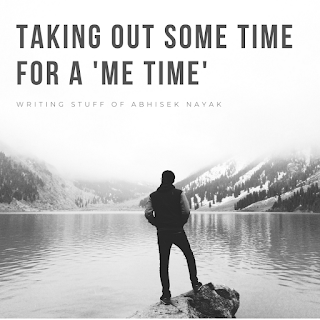 What does ‘Me Time’ mean to me? ‘Me Time’ means a lot to me. It makes me enter a zone where I can keep account of my good works & mistakes of my past and the stuff which I have to do which I feel would be good for me. The good works whether small or big make me motivated especially in the times when I don’t feel so good about myself. The mistakes make me check on the stuff in which I have to learn from or improve in. After thinking about these past stuff, I plan things for moving ahead in my ways and do a little Pranayama and exercises. I do these things because I think they are going to be beneficial to me. The following news story is a work of fiction but it may be true in the future. 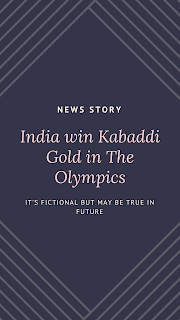 Great Moment of History It was a great moment of history for India yesterday as India beat South Korea in the nail-biting thriller Gold Medal match with help of great performances from everyone especially from Suresh Kumar and Harpal Singh. When the players were standing on the podium for the medal ceremony, their tears, happiness, and pride to represent the country at this level just gave the answers to every question at that moment. Journey of the Game It’s not only the Gold medal winning moment but the whole journey of the sports and the founder nation of the game which has attracted a lot of people. Earlier Kabaddi was a sport which was mainly played by the people belonging to Indian villages. It was played by the people barefoot on the soil. Then, slowly, it went to cities and was also played in the schools competitively. Rahul: Have you completed your homework? Sanjay: I have done the homework but given the notebook to Sahil for his homework. Rahul: Yes, of course, although he is your best buddy. Wait for a second!! But Sahil has not come to school today. I think Sheela madam is going to make this day a hard one for you. Sanjay: No, you know nothing. He is going to manage something and he has done stuff for me before like this. Rahul: See. I told you. He wouldn’t come. Now, best of luck to you. You might have gone through many conversations or situations like the one above. 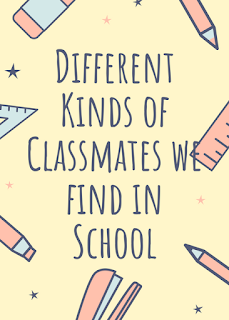 Now, let's refresh our memories by talking about the different kinds of classmates we had in our school. There is a park in my city which is 8 kilometers away from where I live. I like to spend time there and everyone should spend some time in a park like it because it is surely going to make your day. Now, I am going to describe the things about the park and the similar ones which would make you feel good. 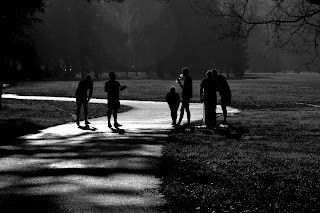 When I visit the Park I am not that kind of guy who every day goes to the park, jogs & exercises there but I try to do the same once or twice a week as I don’t get time because of my works and the reason that I have my little workout at my house. I always visit the park one-half to two hours before the sunset. Every time, when I reach the park I always see a lot of motorbikes and bicycles in the park’s parking area. While entering the park, there is a feeling of going through a different zone. In this zone, you get a great environment where there are many kinds of people and kids relaxing in their own ways like they have transformed into a new version of themselves. Most of the people don’t think about depression as a problem Most of the people don’t think about depression as a problem. In their opinion, it’s just some tension in the mind which is just a normal part of life. People often feel that these are excuses made by the victim for not doing their works. They need to understand the problems he/she is facing which can’t be cured by applying balms only. What does a Victim go through? Depression is nothing but the tension or stress which grows and starts to take away the control of our mind from ourselves. I have seen one friend of mine and my grandmother going through depression and heard many things what depressed people go through & how were they before getting into that phase. 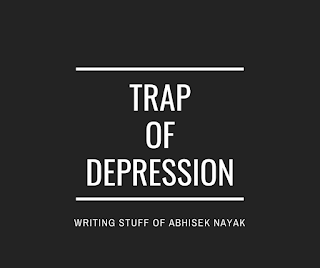 So, my views on depression are completely based on these things and I am not an expert on this topic. I am Abhisek Nayak. I like to express my feelings through my writings. I hope, you enjoy my writing.